Tonight on the show the Boiler gang is back, turning think tanks to stink tanks, asking the tough questions about the Trump dossier, the revelations of the FISA memos, the further exposure of corruption & collusion, the generation of false information (fake news) by Clinton associates to demonize their political opponent, the routing of said fake information to foreign intelligence actors, ... See More and more. Doritos gets a 'hand-bag make-over' as Spore brings yet another strange ice breaker to kick off the show, Alex Jones and Mark Dice are awarded Super Bowl Champion rings and trophies, Google taking control of raising your kids via monitoring in the 'smart-home,' and the strange roll out of the '5G network.' The ACR chat room solves the conundrum of the senseless "Pu**y hat" being deemed 'non-inclusive' and needing a good replacement to fit all creeds, sexes and colors. 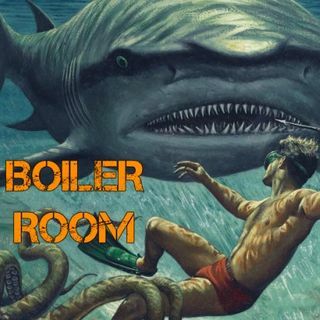 Join ACR hosts Hesher and Spore along side Jay Dyer of the Jays Analysis and Infidel Pharaoh for the latest BOILER ROOM. Turn it up, tune in and hang with the ACR Brain-Trust for this weeks boil downs, analysis and the usual gnashing of the teeth of the political animals in the social rejects club.